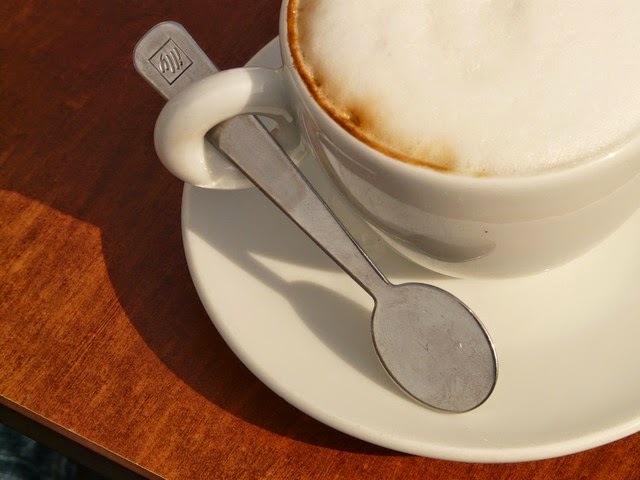 A great cup of coffee can make or break a day...sometimes, your entire week. 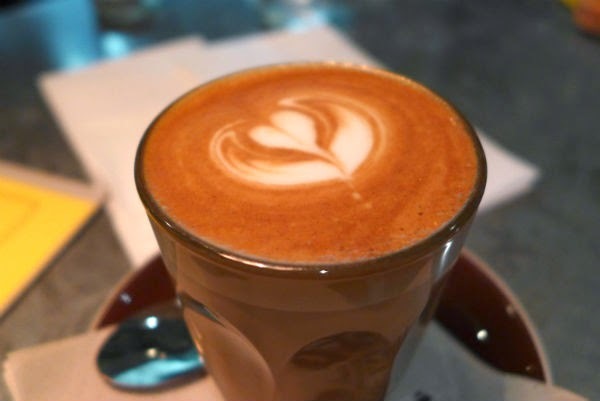 Lucky for us at FlatClub, we've got some of London's best coffee shops right at our door step! We're improving upon our London Relocation Guides - do you have any great cafes that you're a regular at in your neighborhood? 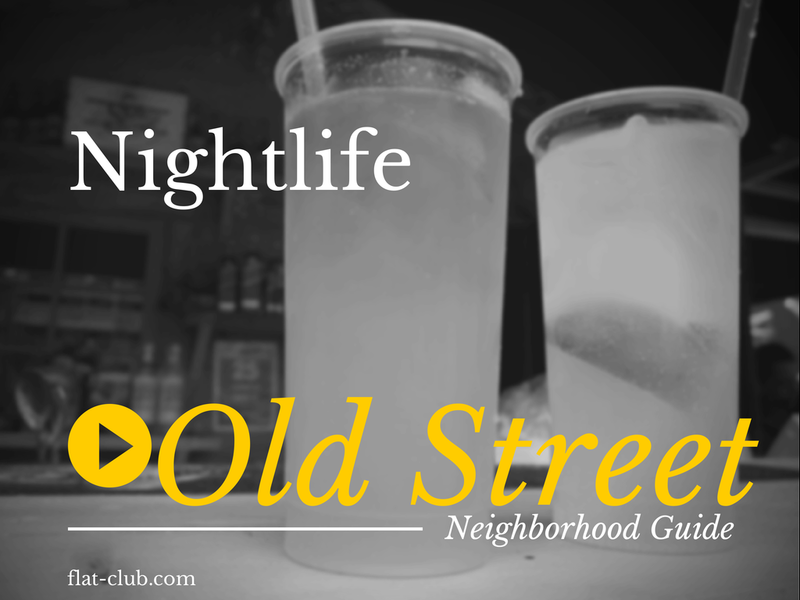 Tweet us or leave us a note on Facebook and we'll include it in our next neighborhood guide! Ozone - A matter of seconds away from Old Street tube, depending on what exit you’ve taken, Ozone is a big, industrial-cool coffee shop hailing originally from New Zealand. 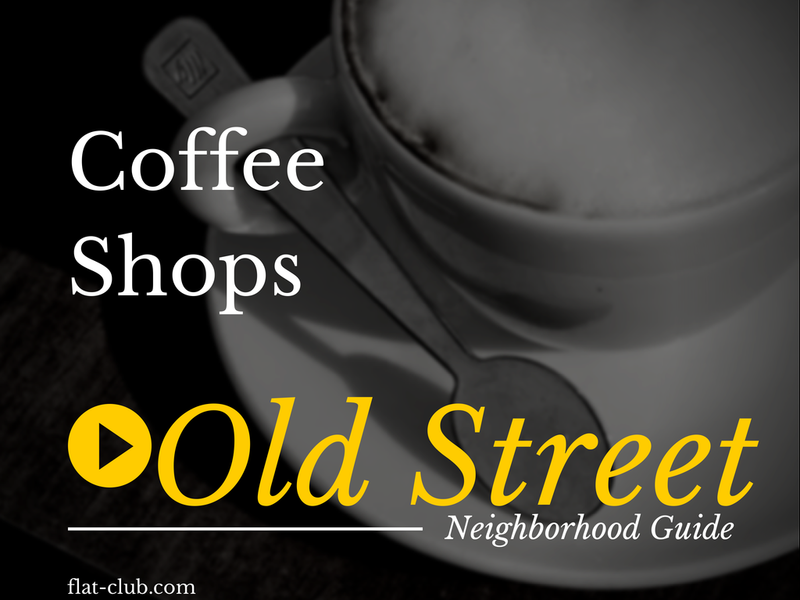 Cold press, traditional espresso drinks, and great non-coffee options like chai lattes & milkshakes. Tasty eggy breakfasts, too! Great place to hang out and have a caffeine hit with friends, family & colleagues. Shoreditch Grind - A bit of a misnomer, if you ask us, as Shoreditch Grind is literally right outside of Old Street tube station. Shoreditch is just a little further ahead! A very trendy spot with big open windows to people watch, you can enjoy classic espresso drinks in the morning and espresso martinis in the evening. Some quick lunches like grain salads are available as well. Look Mum No Hands! - Great coffee, a wide tea selection, lunch options and lots of pastries make Look Mum No Hands! an institution on Old Street. Oh, did we mention that you can get your bike fixed while you chill out here? Yeah, that really sets it apart as well. They also put on quite a few bike & cycle themed social events throughout the year, so if you're into bikes it's worth checking the calendar frequently. Ziferblat - An interesting experiment if nothing else, Ziferblat is a coffee shop where you pay for the time you’ve spent there - but your coffee is free. There are also some complimentary snacks, but from what we’ve heard don’t expect the finest pastries - they are, after all, free. Definitely an experience, and a good option of you need to get lots of work done, you’re low on options for co-working spaces in the City, and you’re craving an Americano. Fix - On Whitecross Street (same place as the market!) you can get yourself a delicious latte, or an interesting, tasty, and indie variation on the icy, blended drinks a certain chain coffee shop made infamous. Tons of power outlets and wi-fi usage, and a nice bakery selection & a variety of non-coffee drinks rounds off a cool cafe indeed. We love starting our day off with a cappuccino & a croissant from one of these top cafes, but where do you like to go for your coffee & pastry fix? Let us know on Twitter or Facebook, and we'll make sure your local spot gets it's fair due! This was a fun way to add on to our London Relocation Guides - staying near the office & exploring cool cocktail & specialty bars! Not to worry ale-lovers, we've got a list of great pubs nearby coming up next. We're rounding off our Old Street series, we started with restaurants, checked out some great parks, and now we're relaxing in one of these 10 amazing nightspots near Old Street. 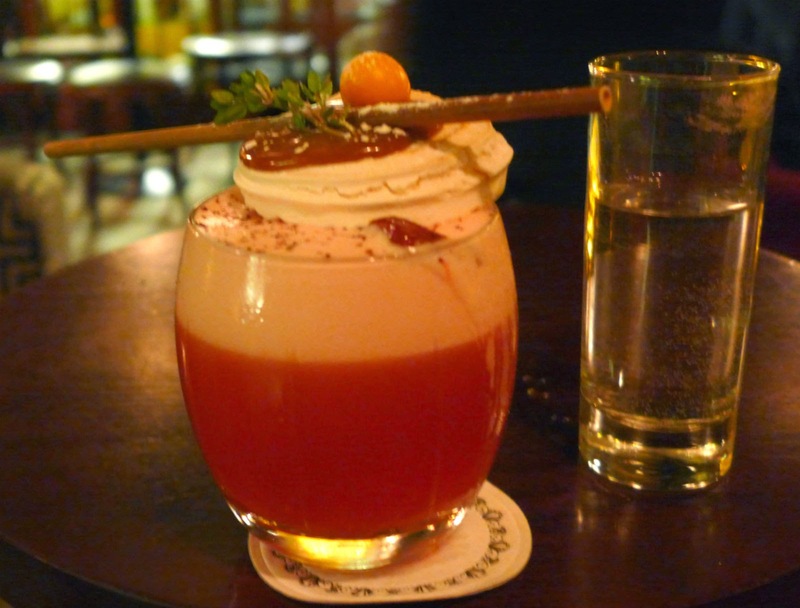 Nightjar - A very intriguing and mysterious cocktail bar, Nightjar has dozens of varieties of unique cocktails. They’ve got four themed menus based on time periods in the history of mixed drinks: pre-prohibition, prohibition, post-war, and ‘Nightjar signatures’, all modern creations. 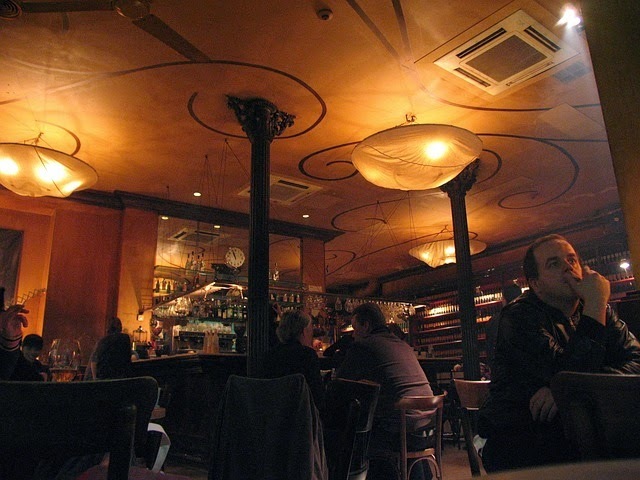 The atmosphere is low-key and the ambiance is classy & mature, a good place to go on a date or with a group who is into cocktails and conversation. Reservations are suggested. Happiness Forgets - Happiness Forgets is similar in style to Nightjar, in that it’s classy, you take a seat, and you’re served your drinks - but the drinks themselves tend down a more classic route than Nightjar. Many different gins, bourbons, and other spirits mingle there. A bit of a connoisseur's cocktail joint. Bookings often needed - especially at weekends. The Book Club - A fun and trendy bar that also serves quite a variety of food - including breakfast! If you’d like to be able to turn up & have a high energy drink with a group of friends The Book Club is a great choice. It’s incredibly popular and often crowded after work, so going in the off hours might be the best idea. Callooh Callay - A whimsical place, as you might guess from the name, Callooh Callay is very popular with locals & visitors alike. It skirts the line between funky & cosmopolitan, and has curious touches throughout the bar. Hidden extra bars in the closet, restroom through the wardrobe - and more strange & exciting things abound. Lots of fun had with the tasty drinks, as well! Casita - Hard to find but well worth it, this is a little bar with a focus on tequila. Their homemade chaser is addictive, so we hear, and made of mint, lime, coriander and pineapple. Beats salt, huh? It’s a small venue that is often packed - good reasons why, so turn up and make some new friends! Since it’s a bit off the beaten path of Old Street & City Road, everyone there is there because they’ve heard good things. 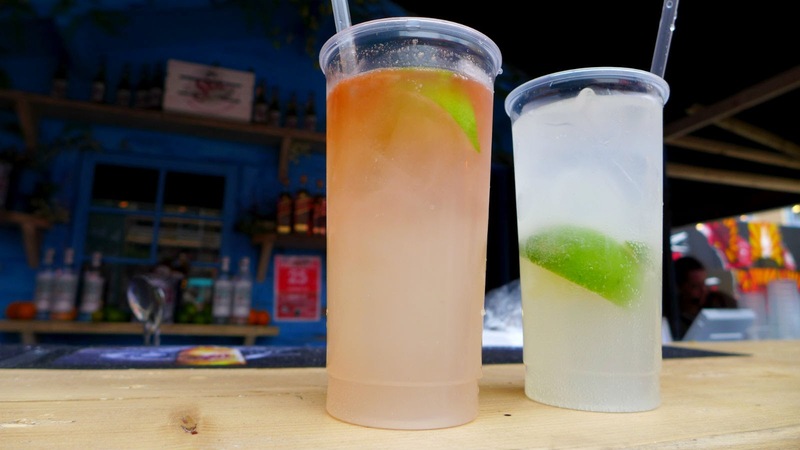 Queen of Hoxton - Rooftop cocktails, need we say more? Okay, we’ll say more. Queen of Hoxton has a rooftop garden with a barbecue on this summer serving up delicious classic grub like burgers, halloumi skewers, and coleslaw. Fun cocktails also served up, like pineapple-aid spiked with your choice of alcohol, or mojito slushies! Worship Street Whistling Shop - This classy bar & cocktail lounge is a great stop - just a bit out of the way of the crowds, but always busy and bustling. There’s a strong focus on gin and classic spirits & mixes - fans of Mad Men will find themselves quite at home with the selection & atmosphere here. Classy & dimly lit, it’s a great place for professionals with a sense of nostalgia. We can personally vouch for these establishments - but we're always looking for more, especially after a long week! 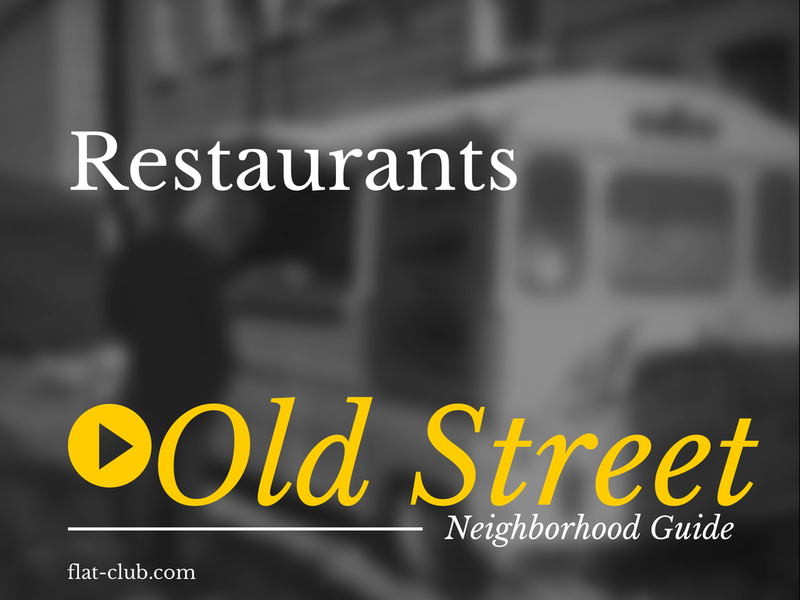 Do you have any great recommendations around Old Street? Or even just a favorite drink from one of these places? Let us know on Twitter or Facebook. We're improving upon our London Relocation Guides - our first blog detailing cool things near our office was our Top 10 Restaurants Near Old Street list. Since we've had such a spate of good weather here in London we thought we better hurry & share the best parks nearby before the weather takes a turn for the worse again. So grab a picnic lunch & an umbrella -just in case- and enjoy the sunshine while it lasts. St Luke’s Church & Gardens - A great place for some al fresco dining, you can spot the hard workers of the silicon roundabout lounging here for their afternoon lunch often. A nice functional bit of greenery to soak up the sun in the city. Finsbury Square - A lovely and well maintained city garden, visitors can relax in the grass and smell the roses throughout the square. Jazz concerts occasionally play, and there is a long bit of bowling green if that’s something you’re interested in! King Square Gardens - A more family oriented park, the younger members of your traveling band will find lots of fun things to do here. A family park in London will include a sandpit, a children’s roundabout, water fun for the summer, and plenty of slides & swings. Great place to let the kids wear down their energy in the late afternoon! Shoreditch Park - A relaxing space a little north of Old Street that has been awarded the Green Flag award for outstanding green spaces in England. The park hosts a giant boulder for climbing, a beach volleyball court, various sports pitches, and even an ampitheatre! One of the bigger & more varied parks in the area, it comes highly recommended. Hoxton Square - Thought to be one of the oldest garden squares in London, Hoxton Square is supported by lots of history, a soft bed of grass, and surrounding restaurants and bars. A great place to relax and eat outside, it’s not necessarily as busy as some of the other parks. 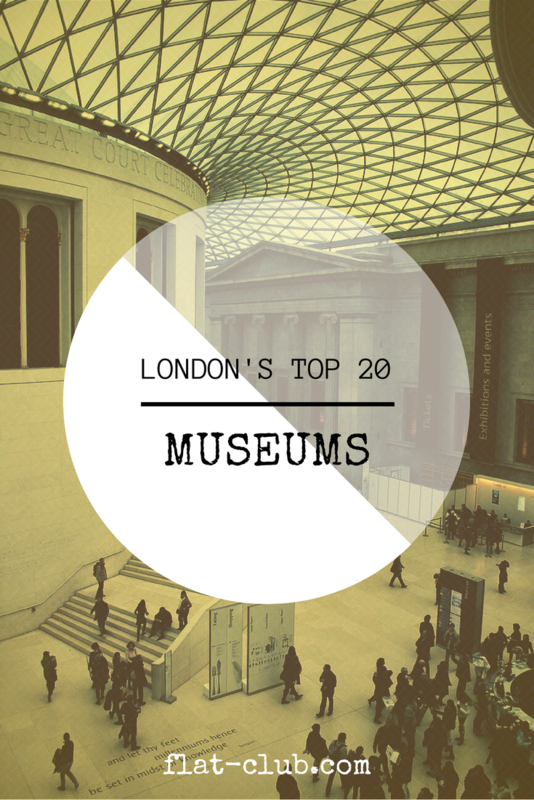 There are over 240 total museums in London. In an effort to help you narrow down your options, and as a part of updating our London Relocation Guide, we have compiled a list of the 20 best museums in the London area. We have also included information about a special deal for the Royal Palaces recommended by a FlatClub team member. On Great Russell Street in London, the British Museum is among the most comprehensive museums in existence dedicated to human history and culture and contains some 8 million works. Tate Britain is an art gallery housing the UK’s British art collection, ranging from 1500 to the present. One of the greatest collections of paintings in the world is housed in The National Gallery in Trafalgar Square. There are over 2,300 paintings dated between the mid-13th century to 1900. See a Van Gogh or Dega in person. While in London, why not discover the history of London and its people? Located at the London Wall, see the story of London all the way back to prehistoric times. One of the three major museums on Exhibition Road, the Science Museum is a state-of-the-art, interactive museum that covers all areas of science and technology. Another major museum on Exhibition Road, and very popular with the children, the Natural History Museum houses life and earth science specimens which include some 70 million items. The third major museum on Exhibition Road, the V&A is the world’s largest museum of decorative arts and design. Its permanent collection contains 4.5 million objects. The RAF Museum is where you will find the history of aviation and the Royal Air Force, including a vast collection of airframes and artifacts from balloon flights to modern aircraft. You will learn the history of the Bank of England, from the time it was founded in 1694 to how it operates in today’s economy as the central bank of the UK. Possibly the largest museum of its kind, the National Maritime Museum holds more than 2 million items including maritime art, cartography, manuscripts, ship models, navigational instruments, and astronomy instruments. A small, but well-organized, museum that resides in the former Hospital Church. Many visit in order to see where the “Elephant Man” lived out his last few years. There are also sections on dentistry and London nurses, among others. The Jewish Military Museum displays artifacts from British Jews who served in the Armed Forces of the Crown. Exhibits include artifacts from the battles of Quebec, Trafalgar, and Waterloo, as well as both World Wars and the Crimean and Boer wars. Bruce Castle is a 16th century manor house and contains the history and archives of the London Borough of Haringey. William Compton, a member of Henry VIII’s court, built the oldest surviving parts of the building. The Library and Museum of Freemasonry contains a collection of many artifacts with Masonic decoration. The museum explains some of the Freemason symbolism, charities, dining habits, and activity abroad and during wartime. The Imperial War Museum covers the stories of people who were impacted by conflict from the First World War up through the present. There are exhibits such as The Trench Experience and the Holocaust Exhibition. £45 will get you entrance to the Tower of London, Hampton Court Palace, Banqueting House, Kensington Palace, and Kew Palace*, as well as a free copy of the book “The Private Life of Palaces.” If you are in London for a week or more, this is a great deal for seeing as many paid royal attractions as possible. In the stories by Sir Arthur Conan Doyle, Sherlock Holmes and Doctor John Watson lived at 221b Baker Street between 1881 and 1904. The first floor study overlooking Baker Street is maintained as it was kept in Victorian Times. Right on the Thames, the Design Museum has exhibits on fashion, architecture, furniture, graphic, product, transport, and digital design. Modern London and its growth is correlated to the development of London transportation, and has been since 1800. See the world’s first Underground steam train and the iconic red London bus. You can go underground and explore Churchill’s Cabinet War Rooms, winding through the maze of bunker rooms that were once filled with people making strategies and keeping war secrets. The famous wax museum displays historical figures or famous people in any field (politicians, entertainers, etc.) to illustrate what they looked like and what they did, using wax dolls that are displayed at the museum. We're building up our London Relocation Guide to make it the greatest guide to London living possible. We've already covered a list of our top 10 picks for restaurants near Old Street, and now we're going to cover one of the most beloved aspects of English culture: pubs! Pubs are an integral part of England’s landscape, and London is the perfect place to find a great pub. There is many a place to wet your whistle in old Londontown, and while they all have their individual charms we think that these 10 are the best for nostalgia and tradition. The George Inn is London’s only surviving coaching inn. Owned by the National Trust, this is a very popular historical pub with locals and tourists alike. It was even visited by Charles Dickens. Dating back to 1520, this old nautical pub is right next to the Thames on a quiet street and contains the original flagstone floor. The decor makes it easy to imagine what the first patrons might have seen, honest workers and smugglers alike. Another historical riverside pub, the Anchor boasts of a rather grim history involving grave sites and the plague. No matter the historical associations, the current atmosphere is much friendlier. Placed on the site of previous pubs, Ye Olde Cheshire Cheese was well known in the 17th century. It was burned down in the Great Fire of 1666 and rebuilt. Once you find the pub in a narrow alleyway, its charm will draw you in and keep you there for a few drinks. Built in Covent Garden in 1787, the pub is named after the Punch and Judy puppet performances that were performed for children in the same area. Much of the original brickwork is still in tact, and the balcony is a great spot to watch street performers. Occasionally frequented by George Orwell, and containing a room of the same name, the Dog and Duck is a Soho landmark with connections to literary history and a great ale selection. The Lamb is a preserved Victorian pub with faded photos and paintings and an 18th century facade. The surviving snob screens take you back to a time when social classes didn’t dare mix. This old tavern might be difficult to find through a back alley, but it claims that Queen Elizabeth I once danced around a cherry tree here. Regardless of the story’s truth, Ye Olde Mitre is a must-see pub. Currently owned by Sir Ian McKellen, this cozy pub has antique detailing, frosted windows, historic portraits, dark wood paneling, and many old Dickens volumes to add to its historical riverside charm. We're improving on our London Relocation Guide, and getting more in-depth with the neighborhoods in the Big Smoke. 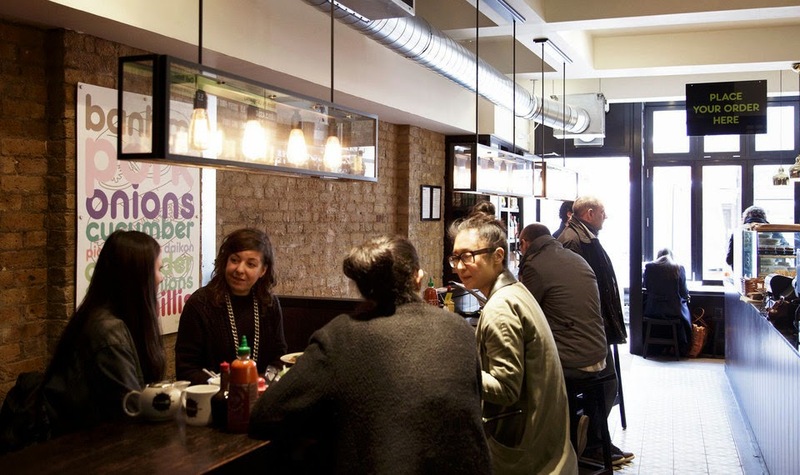 What better place to start than food options in Old Street? FlatClub HQ is on London's Old Street - and we're a hungry bunch. That makes us pretty much authorities on great places to eat within a 10 minute radius of Old Street tube station. On the Bab - Korean culture is becoming big in London and with good reason. Fun music, cool fashion, and delicious food! On the Bab is Old Street’s best Korean restaurant. With an attractive design & reasonable prices, it’s crowded at lunchtimes with nearby workers and visiting tourists. Have an interesting Korean-inspired cocktail if you’re coming for dinner. Don’t be afraid if you don’t like spice, as On the Bab has lots of options that won’t leave you sweating. 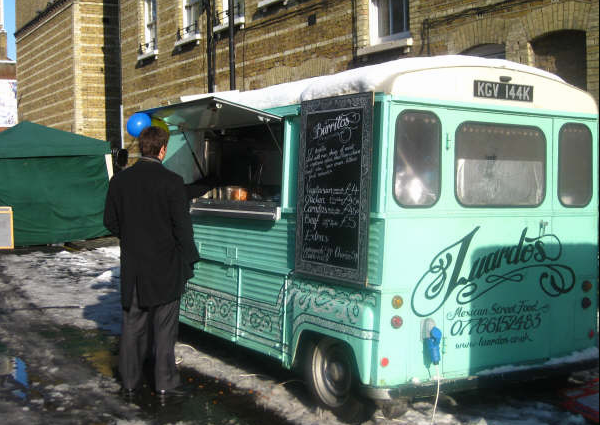 Whitecross Street Market - Like a little variety & sunshine in your diet? Head on down to Whitecross Street Market, where you can find food representing so many different countries you’ll feel like you’re on tour. Turkish pizza, Italian paninis, Mexican burritos, Spanish chorizo, and French-inspired confit duck brioche! Lots of vegetarian options as well, including a very delicious vegan ‘buddha bowl’. Friendly vendors & a big crowd make this a fun place to go for lunch - open from Wednesday to Friday. Get there early though, things do sell out! Meatmission - Like burgers? You’ll love Meatmission. 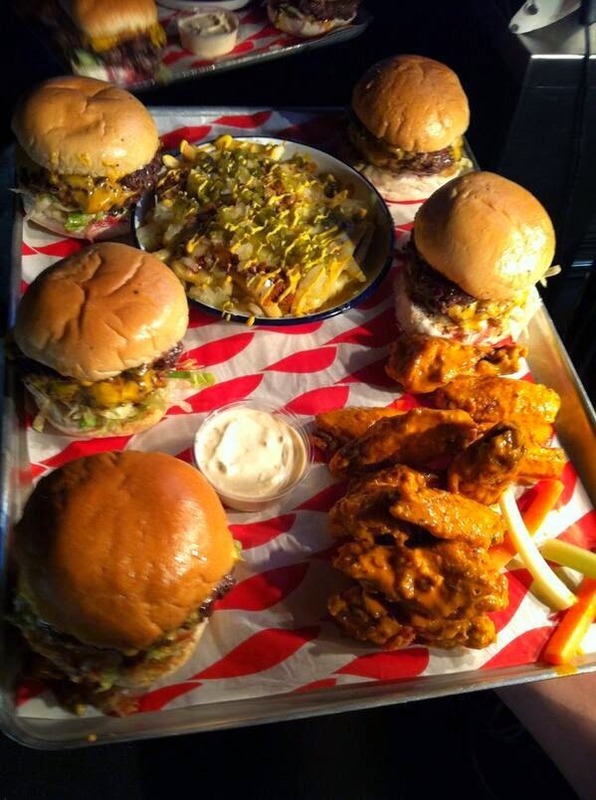 Some of the best burgers in London, you can choose from a variety of different toppings & sides. The FlatClub team has gone here to celebrate and we can personally vouch for the chili burgers, fried pickles & big platters of fries. You definitely won’t leave hungry! Vegetarians shouldn’t feel left out either, as there are a couple of options - don’t be mistaken though, this is a burger restaurant above all else so health shouldn’t be your main concern. L’anima - Italian food done in a classier manner than your usual high street eatery. Don’t expect all-you-can-eat spaghetti with red sauce, it’s high culture with delicate fish dishes paired with perfect wines. Bring a date here, or anyone you’re celebrating with and have a lovely time. GRAB Thai Kitchen - This is a super popular spot for Old Street workers at lunch and with good reason. Nice sized portions at a great price, with a range of non-spicy to hot dishes. Standbys like green chicken curry & pad thai join up with less common meals like massaman curry & pad prik pork. Go around lunch time and you might even spot the FlatClub team chowing down! Dishoom - A bit out of the way & more up to Shoreditch, Dishoom is still worth the less than 10 minute walk from Old Street Station! 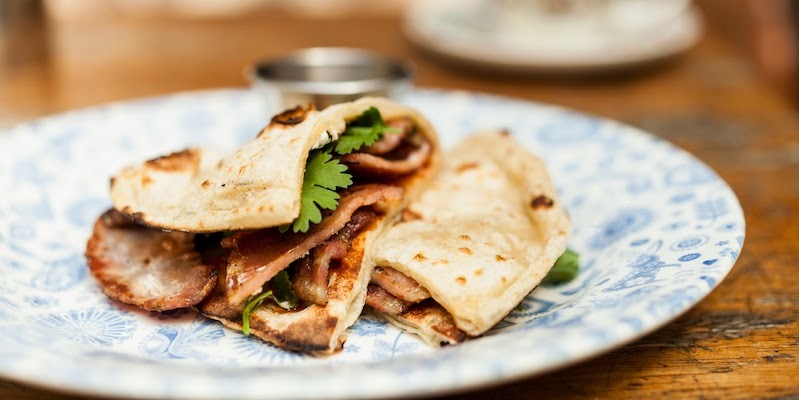 Absolutely famous in the area for their Bacon Naan Rolls, this is an old fashioned Bombay cafe in the heart of London. Even though their breakfasts are what gets talked about the most, they have an extensive & equally delicious lunch menu. If you fancy some Indian but are looking to try something a bit more esoteric than your classic curry - this is your place. Tramshed - Tramshed is a restaurant from celebrity chef & restaurateur Mark Hix. Specializing in chicken & steak, it runs a bit pricey but is known for high quality cuts of beef & premium grade chicken. The starters are always seasonal & unique, with tasty versions of standard English puddings such as treacle tarts & fondue to end things. Keu Banh Mi Deli - Vietnamese baguettes are easy to come by on this side of town, which is good news for fans of spicy meats & filling lunches. The best baguette in Old Street in our humble opinion is Keu, on Old Street and just about 5 minutes from FlatClub HQ. The classic crispy pork belly sandwich is an easy win, but adventurous types can opt for a spicy mackerel or roast duck baguette. Try the Vietnamese style ‘kopi’ as well, couldn’t get more authentic unless you were in Vietnam! Floripa - A great choice for anyone with World Cup fever, this Brazilian restaurant has been provided the Latin American community in London with some tasty treats for awhile now! Lots of fine cocktails & some of Brazil's top national dishes such as Pao de queixo, delicious steaks, and more. Jamie Oliver's Fifteen - The celebrity chef's premises on Old Street positions itself as an in-between cocktail bar & restaurant. Some English classics are present such as lamb shoulder & monkfish, alongside some rather more exotic fare like cod's roe. The menu changes daily but there should always be something to tempt everyone. Good place for a classic meal & a classic cocktail near Old Street. We can personally vouch for all these tasty options - but we're always looking for more! Do you have any great recommendations around Old Street? Or even just a favorite dish from one of these places? Let us know on Twitter or Facebook. An internship has the potential to be the best - or the worst - experience you have before you jump into your career. 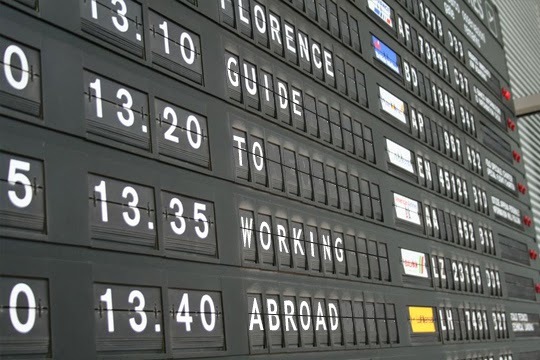 Deciding on an internship abroad is an even bigger decision than staying close to home. Your first step is to research, research, research! We have curated some of the best articles to help you make your decisions. From choosing the best place to study abroad, to choosing the size of the company you want to intern for, the information below is a great place to start. Julie Gordon is a BusinessWeek reporter and author. From externships to finding the right people to talk to, make sure you are fully informed about all the possibilities out there and what might fit you best. Do you have your heart set on travel but don’t know where to go? From film and hospitality internships in New Zealand to journalism internships in Barcelona, discover which cities might be your best fit. If you have your heart set on a specific location but the area isn’t known for providing internships in your area of expertise - don’t give up! Research until you find something. Should You Intern for a Small or Big Company? Authored by Lily Herman and geared toward female college students, this article is a comprehensive look at the pros and cons of both large and small companies that is useful for anyone wondering which type of internship they should apply for. Getting ready for an internship abroad by yourself is unnecessarily stressful. If it is your first time going abroad, looking into internship abroad programs might be your best bet. This article from Transitions Abroad outlines the best programs to get you overseas. We don't mean to be biased but we'd be foolish not to mention our very own guide on how to get that dream internship in the UK capital. London is one of the most sought-after destinations for working abroad and if you are one of those who want to work hard to realise their dreams, our comprehensive guide will help you from start to finish. When you're all set and know where you're going, FlatClub is here to help with your accommodation search! We've taken the most important info for our guests and put it right out in the flat description. See straight away if it is a shared room or private room, if wifi is available, or if there is an en-suite. We've also created neighbourhood guides for the London properties on our site - and we’ll roll out in more cities soon. These have been written by FlatClub and provided by the community - get in touch if you'd like to make a contribution! We’re using a more intuitive layout where the most important information for you is highlighted. Gone are the tabs - now everything is scrollable on one page and internally linked through 4 icons - Pictures, Flat & Host, Location & Transport, and Reviews. The new cover photos will highlight compelling parts of the property- we think it is a great place for hosts to highlight a particularly attractive area or what they see when they look outside their window. We've made some huge updates to the map, which will make it so much easier for guests to answer their own questions about a flat. Transportation & neighbourhood staples - coffee shops, restaurants, grocery stores and more - will be overlaid via the amazing Yelp API. You'll know the best places around the flat before you even arrive. We're pleased that we now can show the three nearest public transit options from the flat. Another incredibly exciting feature is on-page information for your commute time. This is perfect for finding how long it will take to get to campus, your job site, or wherever else you want to go! We give three options - time by car, time by public transport, and the time by walking. Just enter in your destination once, and we'll save it for all flats you view. You'll also see on the map nearby FlatClub stays - the pins have details such as guest's name, and the guest's clubs. It's a great way to get a feel for the area, you may want to stay where other members of your clubs have had a good time. 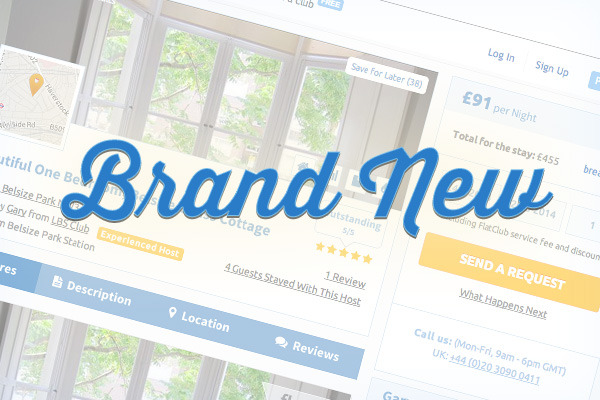 Take advantage of our excellent customer service - now it's easier than ever with an embed on each flat listing to call us directly from your browser using Skype. The price breakdown is also more transparent than ever, so you'll more easily find what you're paying and why. The price per night, number of nights, a cleaning fee, club discounts, and any additional charges per guest will be displayed clearly on the flat listing. Also prominently displayed on the flat listing is more information on the hosts: important information like when their calendar was last updated & their average response time. We're really proud of all the extras & improvements we've made to flat postings - is there anything else you’d like to see? Let us know on Twitter & Facebook!